How should employers handle mental illness? How can employers respect workers' privacy while preventing people suffering from serious mental illness from putting themselves or others at risk on the job? Family members of a victim kneel by a plaque and flowers laid in memory of the victims near the area where the Germanwings jetliner crashed in the French Alps. Photo: AP. 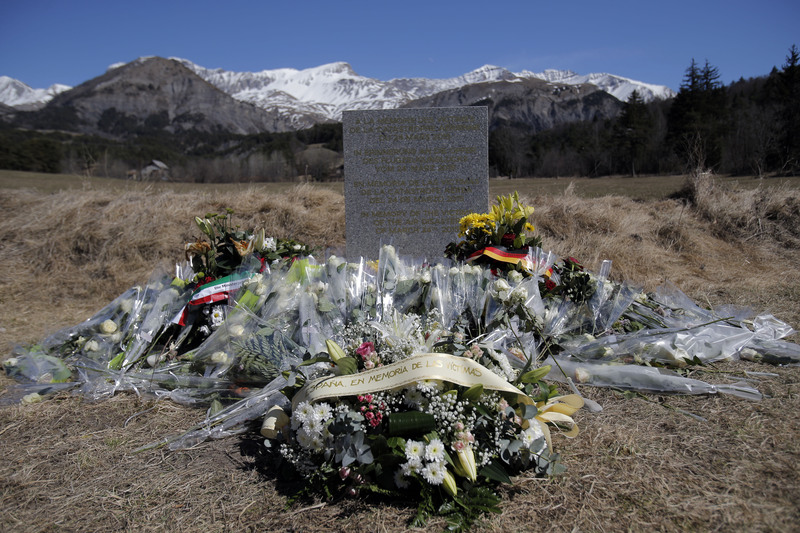 (Bloomberg Business) — The news that the pilot of the Germanwings jet that crashed had been judged unfit for work by a doctor, citing an unspecified mental illness, raises tough questions about mental health in the workplace.